The films of Joel and Ethan Coen are not for everyone's tastes, but their unique style has made them such icons that the word "Coenseque" has entered the cinematic lexicon. 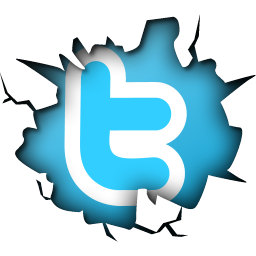 It can be used to describe whimsical comedy, satirical noir, or quirky drama. Three Billboards Outside Ebbing, Missouri was last year's best example of another filmmaker trying to channel the Coen mystique, with George Clooney's Suburbican (which was overly re-worked from a very flawed early screenplay by the brothers) being, ironically, the worst. That Coen Brothers felling isn't easy to capture, but being the actually Coen Brothers, Joel and Ethan have it in spades. If you are a fan like we are, your mouth was watering at the prospect of an eclectic western anthology film. And the presence of Tim Blake Nelson from O Brother, Where Art Thou? fame as a singing cowboy is arguably the most Coenesque concept ever put on film (er, digital media). just a few members of the outstanding ensemble of The Ballad of Buster Scruggs. The Ballad of Buster Scruggs is made up of six stories is presented as an old book with the title The Ballad of Buster Scruggs and Other Tales of the American Frontier. The movie opens on the image of the book, and a hand turns the pages before and after each story, each one preceded by a color plate illustration of a scene within the story. The title story follows Buster Scruggs (Nelson) a cheerful singing cowboy clad in a glistening white hat, who travels through Monument Valley astride his trusty white horse Dan. He arrives at an isolated bar and asks for a whiskey, but the owner refuses him due to it being a dry county. The segment is based in large part around a juxtaposition between of the squeaky clean corniness of Roy Rodgers films and the in your face violence of the most ruthless spaghetti westerns. A young outlaw (James Franco) attempts to rob a bank and soon finds himself at the end of a rope, only find himself pulled into a series of misadventures. An ageing impresario (Liam Neeson) and his artist, a young man name Harrison (Harry Melling, best known as Dudley Dursley) with no arms or legs, travel from town to town in a wagon that converts into a small stage where Harrison theatrically recites classic works with the skill of true thespian, . The impresario collects money from the audience at the end of each performance. Their financial situation is never desperate, but it is a challenging lifestyle for both men. A grizzled prospector (Tom Waits) arrives in a pristine mountain valley, where he digs and pans for gold. A young woman named Alice Longabaugh (Zoe Kazan) and her older brother Gilbert, an inept businessman, are journeying in a wagon across the prairie towards Oregon, where Gilbert claims a new business partner will marry his sister. Alice faces many obstacles and potential opportunities during her long and eventful journey. Five people, an Englishman (Jonjo O'Neil); an Irishman (Brendan Gleeson); a Frenchman (Saul Rubinek); a Lady (Tyne Daly) and a Trapper (Chelcie Ross), ride in a stagecoach together at sunset to Fort Morgan. Antohology films are bound to have their ups and down segments, with some stories hitting and others missing , but in this case there isn't a dud in the bunch, mostly because each one is mini Coen movie, rather than the traditional technique of turning over each segment to a different filmmaker (think Twilight Zone: The Movie or Four Rooms). 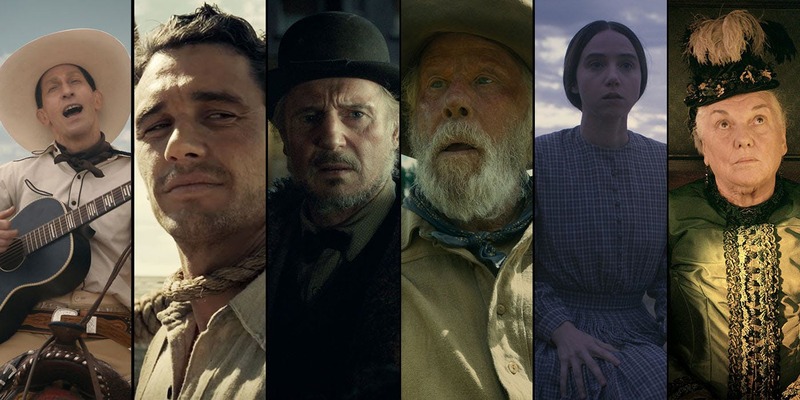 This gives the brothers the chance to explore different styles of stories within the western genre, varying in tone from the goofy comedy of Buster Scruggs to the melancholy drama of The Gal Who Got Rattled (the most complete and arguably the best segment overall). Director of Photography Bruno Delbonnel (Harry Potter and the Half Blood Prince, Inside Llewyn Davis, Darkest Hour) does exquisite work that ranks up there Emmanuel Lubezki's Oscar winning cinematography on The Revenent in terms of shooting down the notion that a picturesque period piece like this can't be shot on digital, making a strong case that the most important factor is not the camera itself as much as who is using it. This is a gorgeous film even on the small screen. The performances are top of the line all around, with Nelson, Neeson, Kazan, Melling and Waits standing out as highlights (though Clancy Brown, Saul Rubinek and Tyne Daly are just a few of the other players given a chance to shine). Composer Carter Burwell expertly navigates us through the shifts in tone, and editor Roderick Jaynes (the Coens longtime collaborator, who so seamlessly executes their vision that it is almost as if the three of them were the same person) creates a pacing that never lags, even when the stories slow down. Netflix has presented a fine holiday gift for fans of the Coen Brothers, and you may spot a couple of sly references to their other western classic, True Grit. The episodic nature of the film makes it ideal for streaming release, especially in terms of repeat viewing.